Fast starting Ricky had a good solid first season, albeit with the odd mechanical problem, and was a major factor in the Tiger's fortunes. Starts the 2003 season at reserve with his sights set firmly on a team place. The new green sheet averages came into force on 15th June and Ricky made his debut as No.2 at Rye House, but struggled with two retirements and just 2 points in the Tigers narrow win. 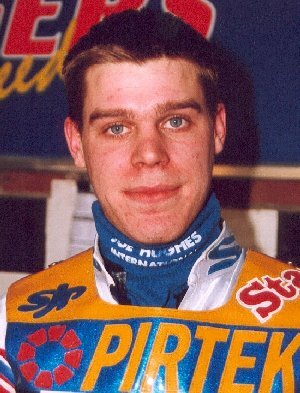 He rode for the Breat Britain U21 team in the test match wins against Sweden scoring 4+1 at Reading, and a commendable 7 at Wolverhampton despite taking a heavy tumble while attempting to pass Peter Ljung. Consistently good scoring from Ricky resulted in him wresting the third heat-leader slot from Andy Moore in August. James makes the transition to second string following a succesful season in 2002. 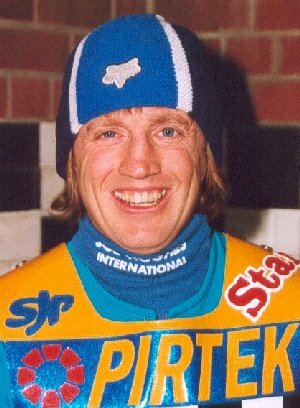 Posted a clear indication of his progress with a scintillating heat 5 against Belle Vue when he passed first Jesper Olsen and then Steve Johnston two laps later. James crashed headlong into the fence on Good Friday but luckily escaped with only facial injuries and returned to the saddle for the victory over the Coventry Bees. The June green-sheets averages saw James drop to reserve but a good run could see his confidence restored. 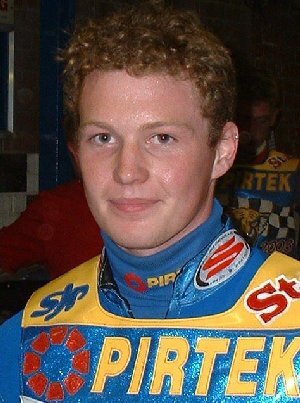 Ross began his speedway at the Linlithgow circuit before being scooped up by Peterborough for their Conference League side. 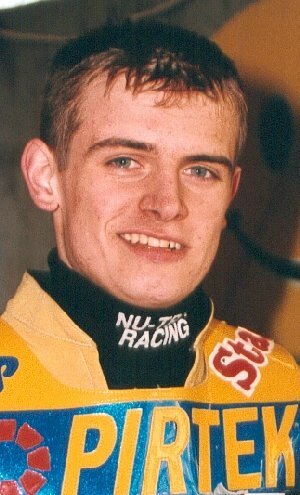 After a year on loan to Mildenhall when he also rode occasionally for Berwick in the Premier League, Ross then joined Edinburgh in 1998, initially on loan before becoming a full Monarch's asset the following year. 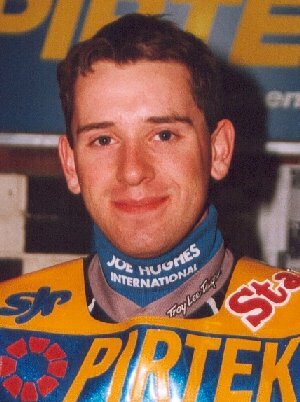 Extra to their plans Ross was transfered to Hull but in 2002 he was destined to miss nearly half of the season with a broken elbow. The Viking's boardroom reshuffle saw him on the move again, this time back to his roots as he became Glasgow's most expensive signing. Both Ross and the Glasgow team in general made a poor start to the season, and his subsequent knee injury prompted Ross to jump before he was pushed. Now fully fit he has joined the 'Pirtek' Tigers replacing Scott Smith and after a slowish start he is beginning to display his old form. André, who is doubling up with the Poole Pirates in the Elite league this year, top scored for the Tigers in the British League Cup clash with the Aces at Belle Vue with some excellent racing. If he was making a point to the Aces management, then he did it very well. A bad tumble in the home match against Stoke in August saw André aggravate an old ankle injury causing him to miss a number of matches. 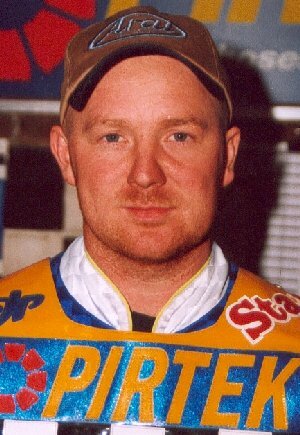 Having doubled up for to the Tigers & Prowlers in 2001 Andy became a full time Tiger in 2002, and although he didn't quite achieve his aim of claiming a heat-leader slot he maintained his progress all throughout the year finishing with the 3rd highest average from away fixtures ahead of both Lee and Scud. The June green sheets saw Andy make his debut as heat-leader with 11 from 4 rides in the Tigers narrow victory at Rye House, and then claim 19 points and a Golden Double Tactical Substitute win at Kings Lynn as the Tigers knocked the Stars out. Buster Chapman was so convinced that Andy was on an illegal engine that he coughed up �550 for an official protest. The engine was found to be 498cc and both Andy and his tuner were quite pleased by that (after all the hassle it caused)! 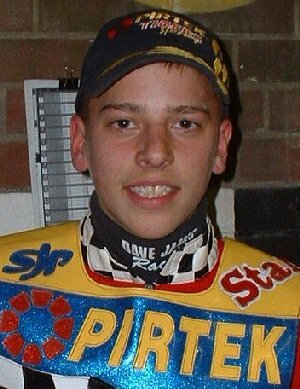 Andy rode for the Breat Britain U21 team in the test match victories against Sweden scoring 7 at Reading and 8 at Wolverhampton. 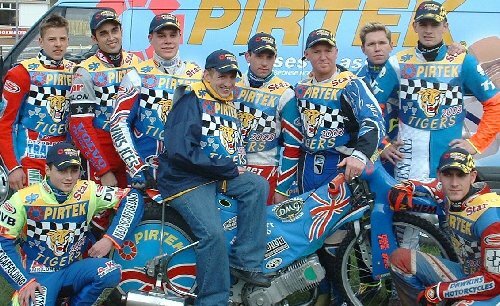 Scud looked destined to sit 2003 out until the bombshell of Lee Complin's retirement threw team building plans awry. His critics were silenced in no uncertain terms as he passed Elite League Aces Jason Lyons and Ales Dryml in our home British League Cup clash with Belle Vue. Scud's poor form on the away circuits, especially zero returns at Edinburgh and Newport and the ensuing criticism from Neil Machin led to Scud withdrawing his services and subsequently joining Exeter as a replacement for the injured Michael Coles. Ben got the nod to start the season wearing the Tigers No.7 jacket but will face stern challenges from his fellow Prowlers. 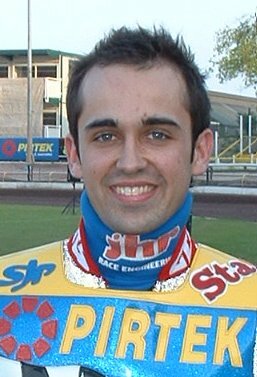 Sean carded a perfect 18 point maximum in the home clash against Exeter.